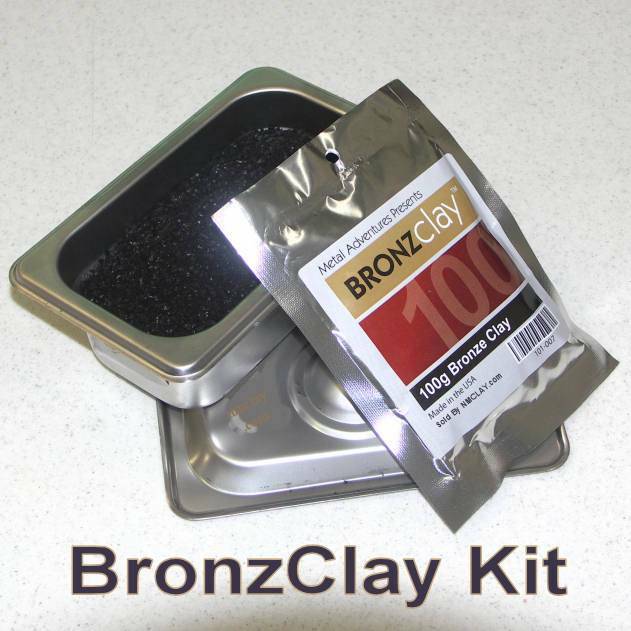 BronzClay Kit Small Kit- Everything you need to get started (except the kiln) You can use any kiln that can be programed or you need a pyrometer. This is the smallest kit, only what you need to get going!, contains the small vessel, enough charcoal for 50+ firings and 100 grams of bronzclay. BRONZCLAY-KIT Click the photo above to see a larger photo!